A fresh revision of a classic text, suited for classrooms or private study. Thousands of pastors have enhanced their understanding of the New Testament with this user-friendly book. 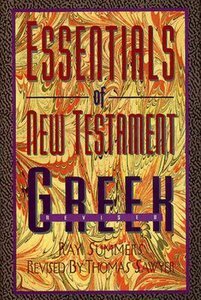 About "Essentials of New Testament Greek (Textbook, 1995)"